This topic contains 5 replies, has 5 voices, and was last updated by Pseudo_C 1 month, 2 weeks ago. 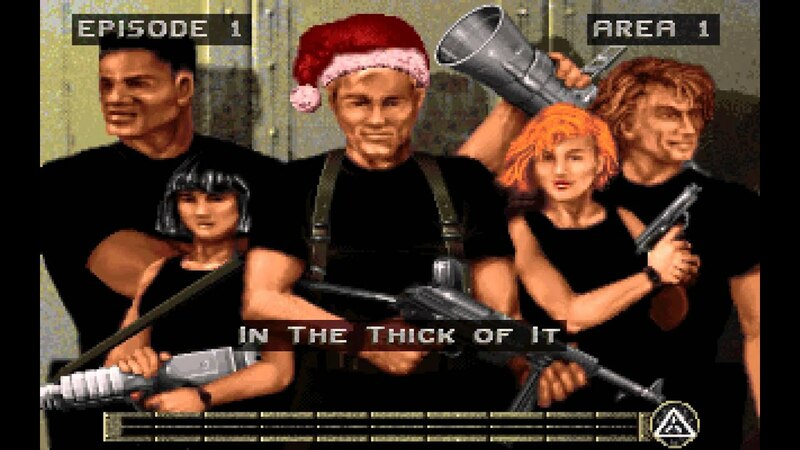 I’d like to suggest Rise of the Triad, a 1994 FPS with an arcade feel and a really interesting (or should I say ludicrous) development story! The shareware version is still available for free, and the full version can be purchased online from several places. It runs on dosbox and has a couple source ports available too. I remember playing that game when I was a child (teen). It has Easter eggs on Christmas and other special occasions. One thing that I remember well from this game was that when God mode was activated (either from a pickup or by cheating) the character was floating above ground, was invincible, could throw balls of holy light with effect comparable to BFG and, funnily, was yawning all the time from boredom. Some enemies would pretend to give up and then try to shoot you in the back, there were jumping platforms… this game was epic. I believe the yawning in god mode was because of something John Romero did while playing deathmatch, or testing god mode on Doom or something (Romero wasn’t involved in Rise of the Triad but Tom Hall who is very close to Romero was). Oh I love this game. it’s full of whacky stuff. I read somewhere that the yawning was something John Romero used to do not when playing deathmatch or testing god mode, but when testing the no clipping mode in doom. Lets do this PLEASE! 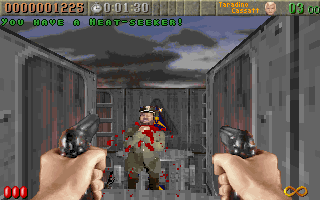 During an era of games pushing technical limits, ROTT had the gall to come out based purely on fun and break-neck game play. I boot this one up at least once a year.